Dubai has fast become one of the largest and most exciting business and entertainment hubs in the world. Conveniently located in the middle of Europe and Asia, Dubai can be the perfect place to meet, conduct business, and organise your local or global operations. 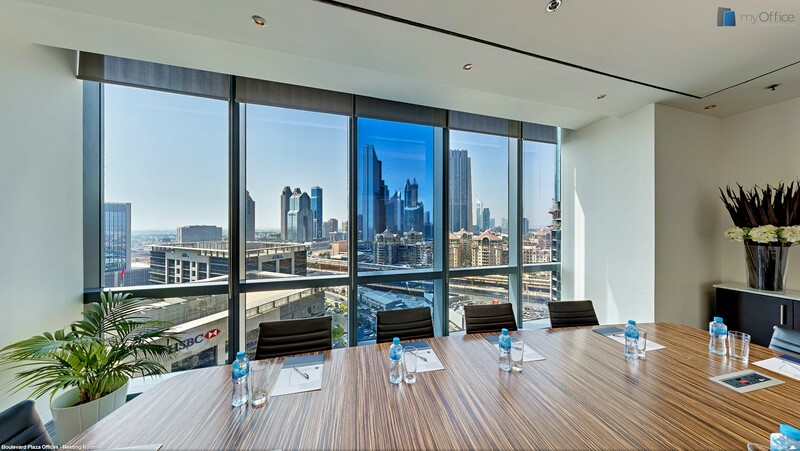 Whether or not you have your own commercial space in Dubai, you will at times need a venue for meeting with clients, customers, or investors, and for that you would want a modern meeting room with all the amenities that dynamic businesses demand. Fluidmeet provides world class meeting rooms in Dubai, as well as training rooms, all available to your through convenient meeting room booking systems. Finding the right business centre could be critical to closing a deal and continuing to grow your business. The facilities you can find on Fluidmeet are designed with modern businesses in mind. Whether you need a location for a presentation, for sensitive contract talks, or even for a meet and greet with clients and investors, you can find the spaces that will make your business stand out. Training rooms in Dubai are also available for regular or one-off training sessions and workshops. Talk to us about the facilities you require, and we will arrange a location to suit. Portray your business with professionalism and class, by availing our Dubai meeting room booking systems. Modern, clean, and upscale spaces are available, to suit all of your business needs. If you are the owner or administrator of a commercial space in Dubai that isn’t currently being fully utilized, why not talk to us about listing your space with Fluidmeet. You can make back the money from your property investment, or generate revenue from a freehold space that isn’t otherwise being used. We network with some of the most high profile and successful businesses in Dubai, who could be the ideal temporary tenants for your space. Whether you’re looking for meeting rooms in Dubai, training rooms, or if you’re a property owner looking for short term, contract based tenants for your commercial spaces, Fluidmeet has the best meeting room booking system in Dubai.